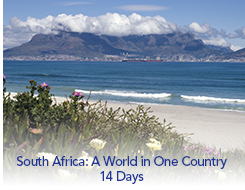 This 14-day itinerary includes many special details that make South Africa one of our most popular destinations. 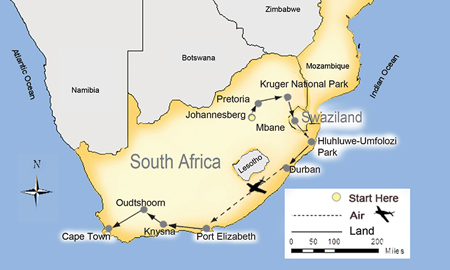 Sophisticated urban living, vast forested mountains, fertile plains, fascinating wildlife and magical cultural traditions all come together in a world of African adventure. Arrive in Johannesburg, where you are met and escorted to your hotel. Evening tour briefing at the hotel where you will meet your guide and fellow travelers. As a guest of SITA, you will be treated to an exciting night out in Cape Town at the Richard's Supper Stage & Bristo, including dinner and a show for an inspiring insight of this "Rainbow Nation".